If you’re a big fan of biker cafe then make sure you get involved with the iconic Reunion Weekend at the Ace Cafe. The 24th annual Ace Cafe reunion takes places from Friday 8th September this year with three days worth of ride outs ending with one big reunion in Brighton. Friday host the Continental Run Ride-In and Saturday brings us the Cafe Racer and Rockers Ride Out. If you’d like to take part in the ride to Brighton then meet at the cafe at 10am with a 10.30am departure. Find out more about the Ace Cafe Reunion Weekend here! 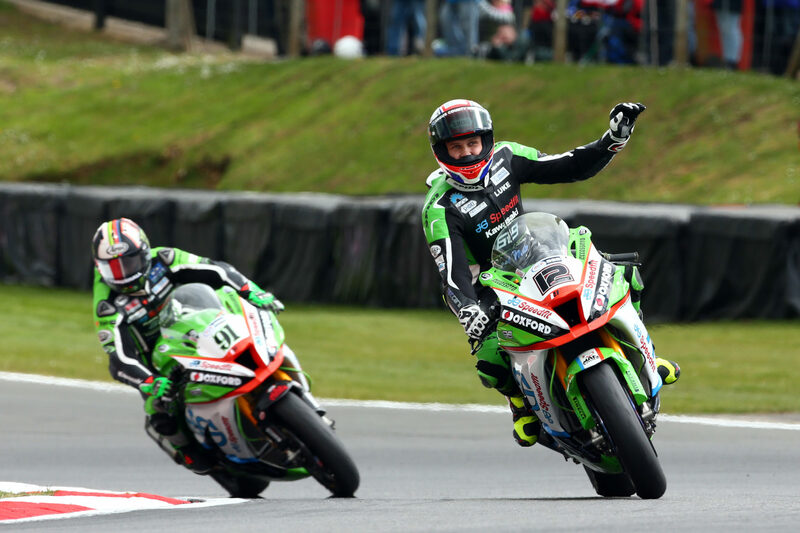 Round 9 of the British Superbike Championship heads to Silverstone, the home of the British Grand Prix! Don’t miss out on any of the action on and off the track, there’s plenty of fun to be had for the whole family over the weekend. There’s live entertainment, food stalls and you could even book a paddock tour! The Whitstable Toy Run Association have organised for a run with all donations going to the Pilgrims Hospice, in memory of William Cameron. 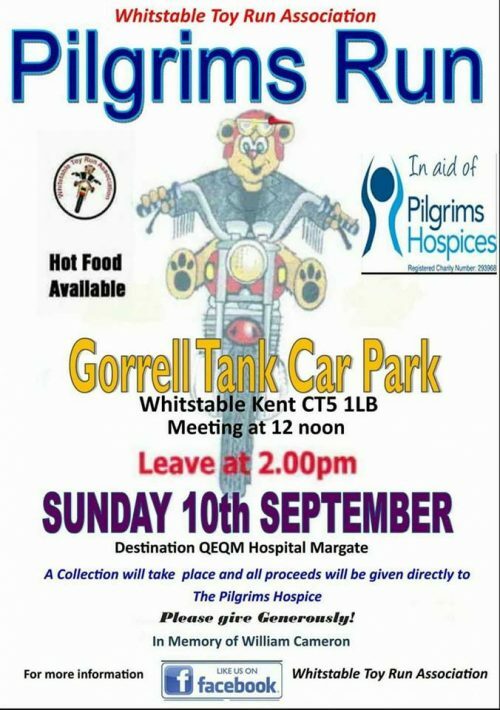 Meeting at 12pm at Gorrell Tank Car Park, the run will be leaving at 2pm heading to the QEQM Hospital Margate. Hot food will be available on the day. reason to celebrate. 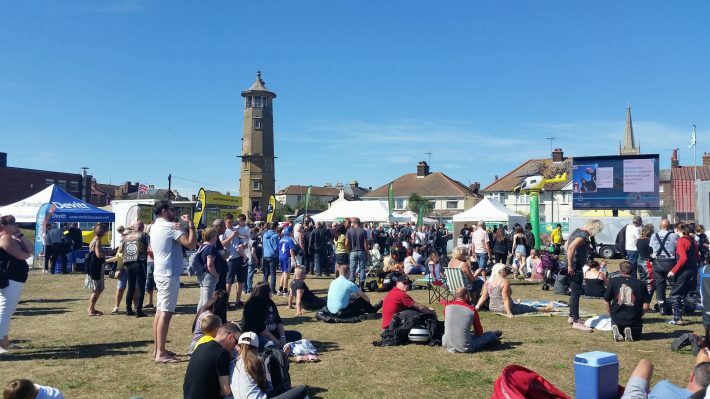 Over 4,000 bikers take part in the annual 60 mile ride from Dunton to Harwich Green for a day of live music, entertainment and much more. Don’t forget to pre-register now and you’ll have the chance to win one of three 3500 vouchers for the Bike Shop, thanks to Devitt Insurance! It costs £7.50 to pre-register, or £13.50 for a rider with pillion. Book your place now! This event is suitable for the whole family. 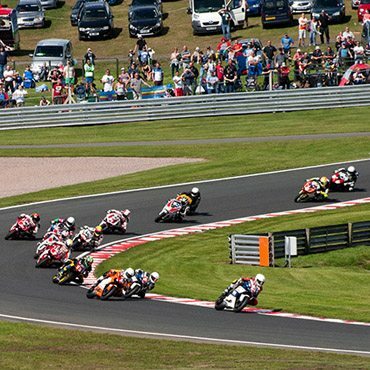 Round 10 of the British Superbike Championship is based at Oulton Park for the weekend. With only 2 races left on the calendar, things are starting to heat up on the track. Let the showdown commence as this weekend is the big decider on which six riders could be walking onto that podium in just a few weeks time at Brands Hatch! The final road race of the year takes place in Scarborough this month in the form of the Oliver’s Mount Gold Cup. Watch the likes of Dean Harrison and Ivan Lintin navigate round the 2.43 mile course with some sticky twist and turns at high speeds. There’s plenty going on in Scarborough town, situated only 5 minutes away from the circuit and close to the seaside too. Book your weekend pass now! 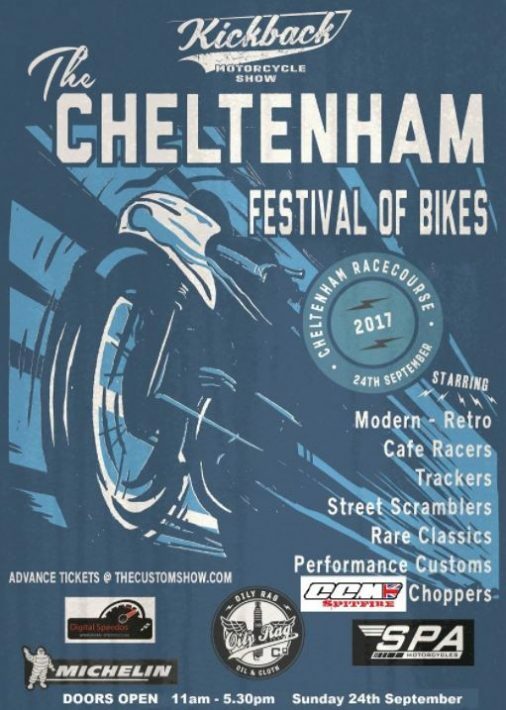 Doors open at 11am on Cheltenham Racecourse for this years Kickback Festival of Bikes! You’ll find halls full of customised motorcycles, rare classic, cafe racers and a whole lot more. There will also be a host of trade stands and pop up stores for you to browse, a food hall and a licensed bar. Tickets cost £10, and under 16’s go free. Squires cafe are hosting the annual Bike Show Weekend this month, and there’s plenty to enjoy. On the cafe site there will be a stunt show in the car park, along with lots of unique bikes on display. There will also be pop-up trade stands, fresh food and drink served straight from the cafe. If you’re making the day of it, a live band will be performing in the function room in the evening too! Don’t forget to enter the Classic Bike Show on Sunday so you can show off your pride and joy, you might even win! 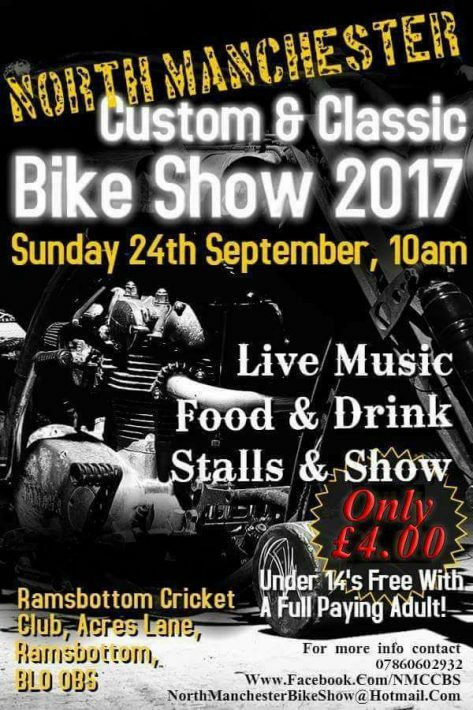 Open from 10 am, the North Manchester Custom & Classic Bike show boasts a great day out for the whole family. Enjoy the whole day of live music, pop up stalls and lots of classic and custom bikes on display at Ramsbottom Cricket Club. Own a classic or custom bike? Don’t forget to enter the competition and you could win yourself a trophy! It’s only £4 entry and under 14’s are free! Thousands of riders from across the globe will be taking part in the Distinguished Gentlemen’s Ride this September with the aim to raise awareness on prostate cancer and men’s mental health. It all began back in 2012, with the first ride out seeing over 2,500 riders across 64 cities. Last year, the event bought together 56,000 participants from 90 countries raising 3.6m USD for prostate cancer and men’s mental health programs. The idea for the DGR is to bring together all types of bikers from your cafe races to scrambles to sidecars and scooters. It’s free to take part in the ride but you’re encourage to raise donation via a personal fundraising page. 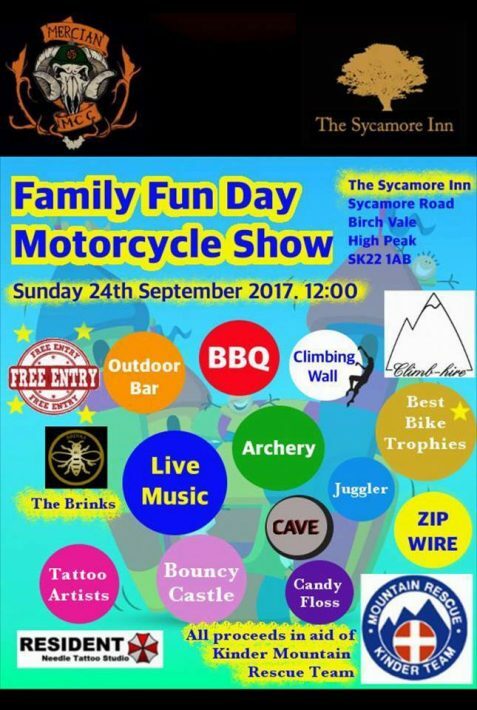 Organised by the Mercian MCC this great family fun day will be held at the The Sycamore Inn, Birch Vale. All proceeds raised on the day will be donated to the Kinder Mountain Rescue Team to help continue to support to the amazing work they do. Entry to the day is free but there’s a whole host of activities going on including 9 trophies to be won with categories including Sound, 125, Street Fighter and WTF bike is that! A number of bands will be playing on the day along with a BBQ and outside bar. The fun doesn’t stop there, there’s going to be tattoo artists, fire performances from Bea Noir, a mobile climbing wall, bouncy castles and a zip line! Don’t miss out on any of the fun. Get the Fun Day booked in now!